Finally, Rani makes an appearance! 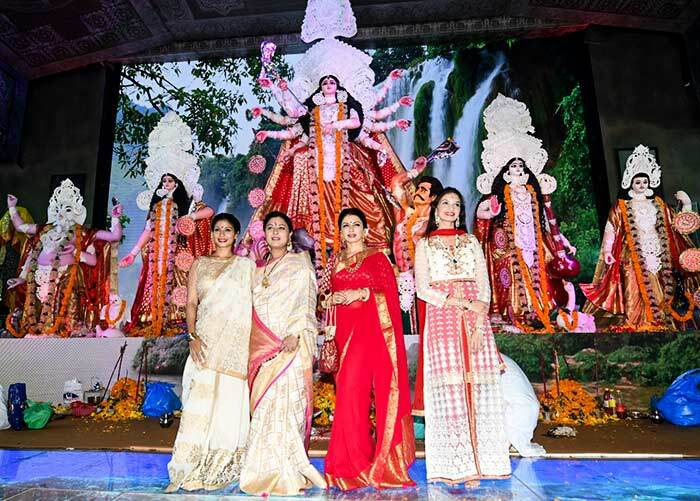 Over the last couple of days, we saw Kajol, Tanishaa and Tanuja get into the Durga Puja festive mood. 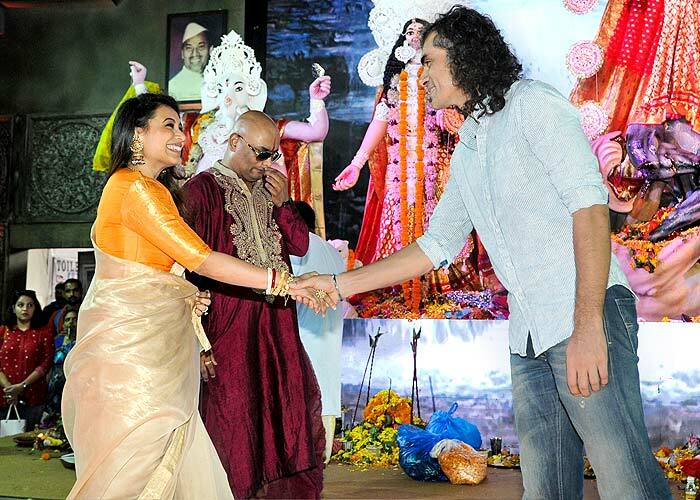 While Rani Mukerji's family -- her mother and brother -- have been at the North Bombay Sarbojanin Durga Puja Samiti at Juhu, a western Mumbai suburb, every day, Rani finally made her appearance on Mahanavami. 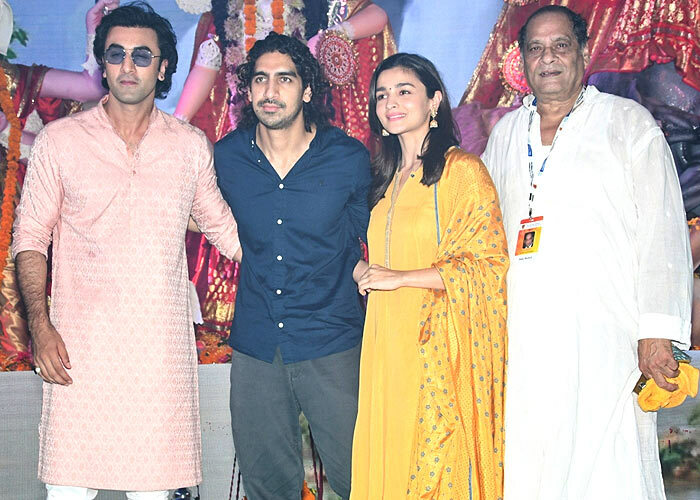 A number of other Bollywood celebs also chose to make their appearance at the pandal today. 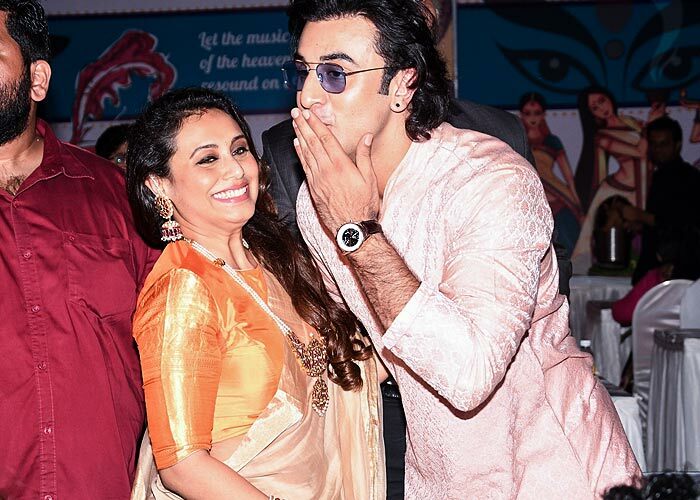 Rani Mukerji and Ranbir Kapoor seem pretty happy to meet each other. Ranbir and Alia Bhatt are coming together in Ayan Mukerji's next film, Dragon. Ayan has directed just two films so far -- Wake Up Sid and Yeh Jawaani Hai Deewani -- both starring his bestie, Ranbir. 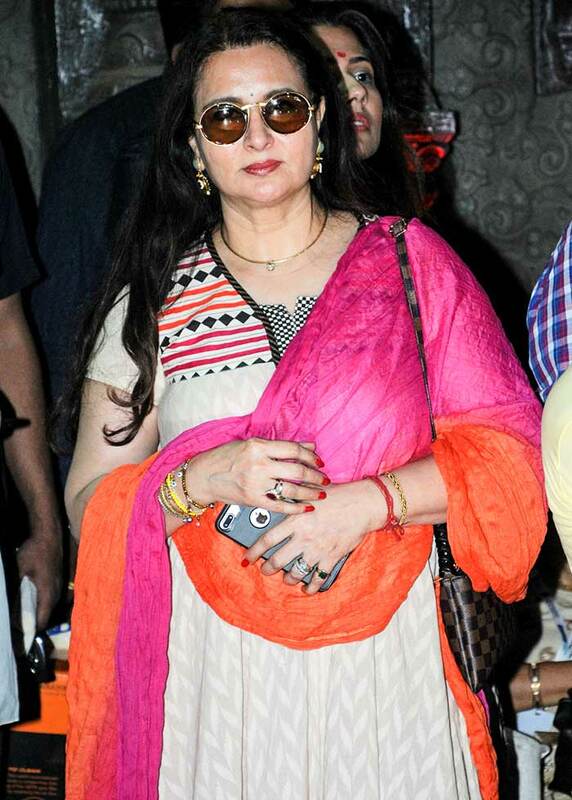 Also seen here is Ayan's dad, Deb Mukherjee. 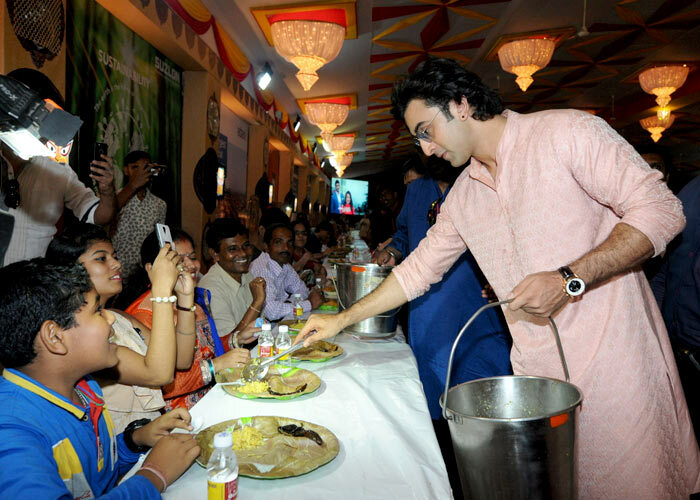 Ranbir serves food to the thrilled devotees and his fans make sure to capture their favourite star on their phone. Rani greets director Imtiaz Ali -- whose last release, the Shah Rukh Khan-Anushka Sharma starrer Jab Harry Met Sejal, tanked at the box office. Her brother, Raja, seems deep in thought. 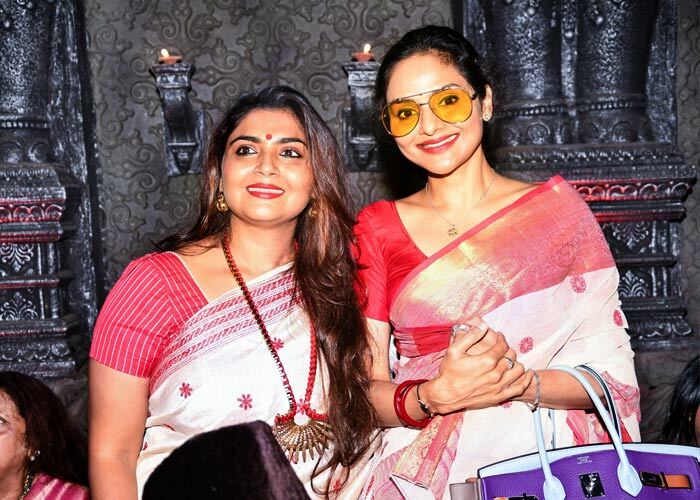 Rani's sister-in-law Jyoti poses with Roja girl Madhoo, who made her television debut as a queen in the recently concluded Aarambh. The serial was penned by Bahubali and Bajrangi Bhaijaan writer, K V Vijayendra Prasad. 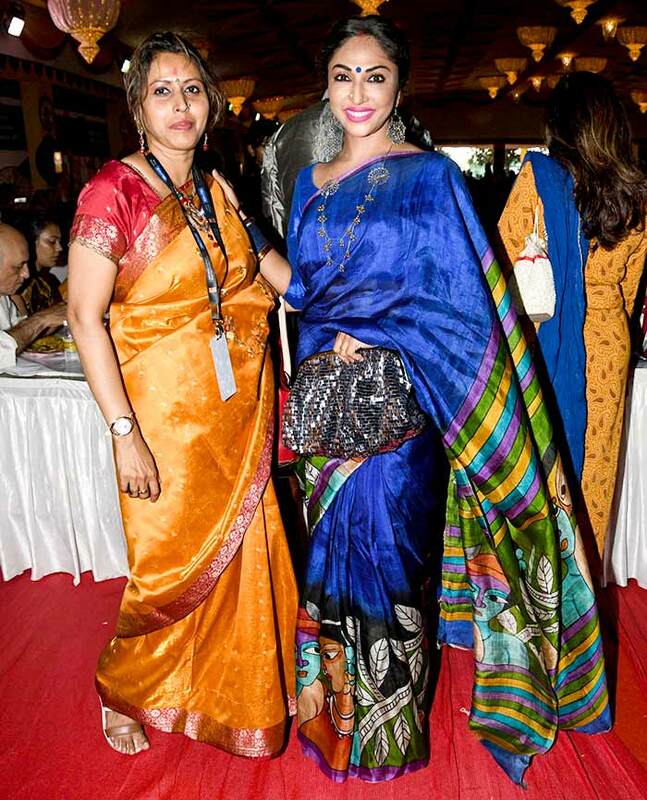 Bollywood and Bengali actress Shomu Mitra with the stunning Mouli Ganguly. 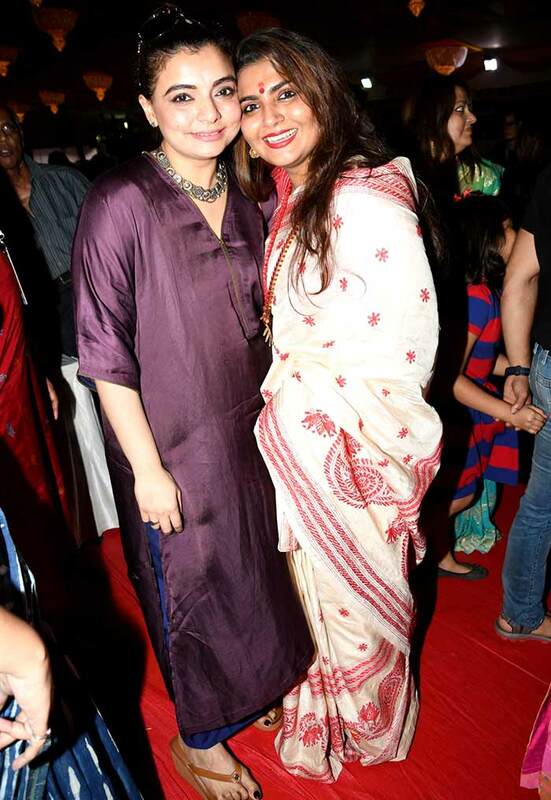 Choreographer Vaibhavi Merchant shares a smile with Jyoti. 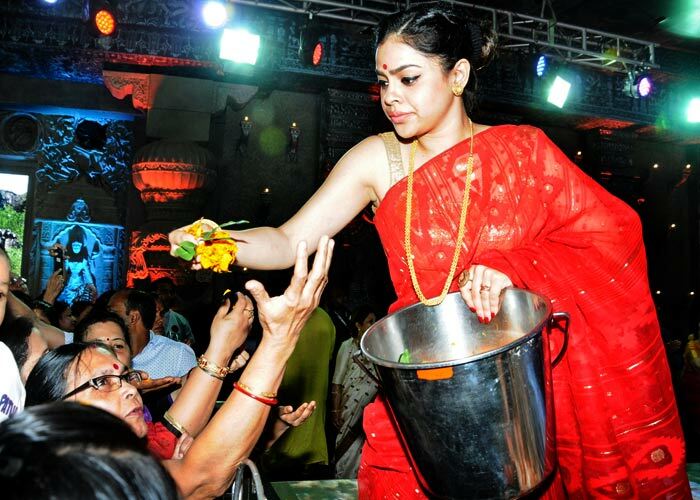 Sumona Chakravarti -- who has spent time at the venue every day-- distributes flowers to the devotees. The gorgeous ladies Tanishaa Mukherjee, Sharbani Mukherjee and Bhagyashree pose together. Pix: Celebrating Durga Puja with Kajol! Soha-Kunal welcome a baby girl! They don't have the heart to watch Ravana burn!